I’ve been writing about sports and balls for some time and I’m still learning about new things. Case in point: petanque, which is apparently a very popular French pastime where two teams compete to launch their silver metal balls closest to a target ball without leaving a circle. Normally we wouldn’t write about it, but when a trio of good Samaritans interrupt their game to stop a violent attack with petanque balls, it’s news. Boudjema Hamani and his friends congregated in a 19th district park to play the game at a park near the Bassin de la Villette canal when they heard a commotion from a nearby sidewalk. An unidentified man was brandishing a knife and attempting to stab passers-by in one of those random acts of violence that plague our society. 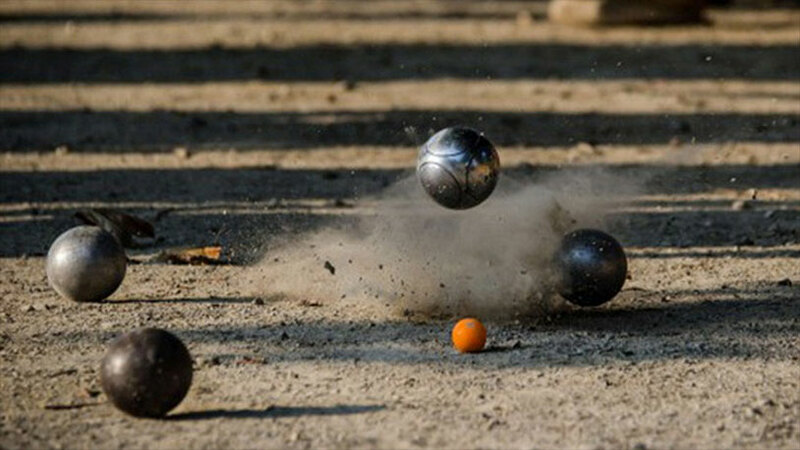 The three petanque players lacked any weapons, but charged the knife maniac and hurled their metal balls at him, driving him away from a victim. They continued to bombard the stabber until fellow petanque player Reda Smain picked up a wooden board and clocked him over the head with it, causing him to drop the knife. The trio subdued the attacker until police arrived and are being hailed as heroes. Read more at the Press-Herald.